A new CLOSER-funded dataset will help to improve the understanding of how social background has influenced the educational attainment, careers and health of generations of British people. The ‘harmonised’ dataset standardises measures of social class across four of the UK’s birth cohort studies: the 1946 National Survey of Health and Development, 1958 National Child Development Study, 1970 British Cohort Study and Millennium Cohort Study. The data harmonisation, which was carried out by a team from the Institute for Fiscal Studies, UCL Institute of Education and University of Bath, involves recoding or modifying variables so they are comparable across research studies. Different measures of social background have been used by the studies over the years, but this new dataset uses one common measure, Registrar General’s Social Class (1990 version), to determine socio-economic position. 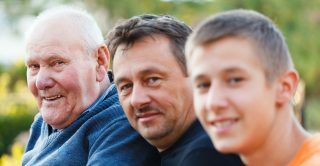 To enable comparisons of childhood social background across generations, the new dataset contains information on family social class at one point in childhood − nearest to age 10/11 − taken from fathers’ occupations. For adulthood comparisons of socio-economic position across the studies, data has been taken nearest to age 42. Professor Alison Park, Director of CLOSER, said: “There is understandable interest in being able to explore the relationship between social class and a wide range of measures – including health, wellbeing and educational attainment. Harmonising social background measures across the four studies will help to improve data quality and accuracy, and also support further research into issues such as social mobility, social exclusion and inequality. You can download these harmonised datasets from the UK Data Service.